Lynn Muir trained in Illustration at Colchester School of Art, before moving to North Cornwall where she set up her workshop on the coast in 1986. 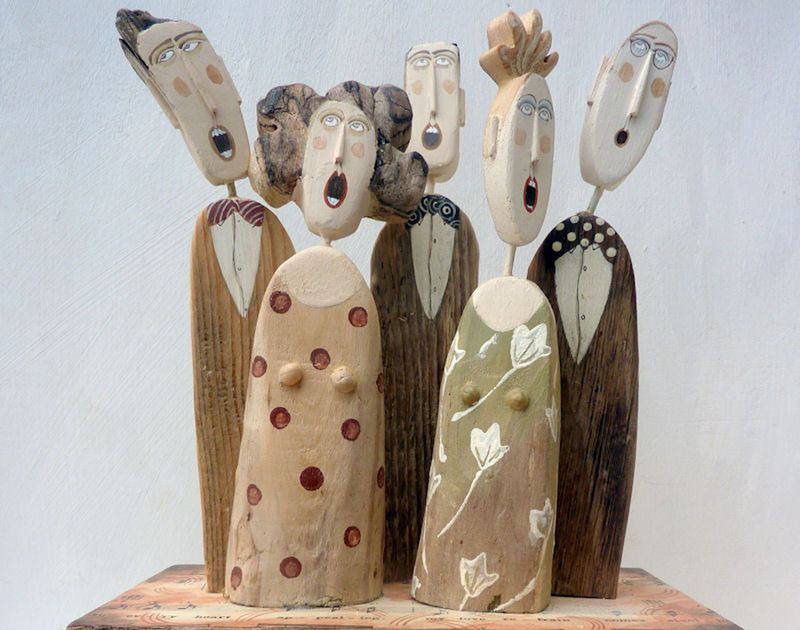 Combining her graphic training with a keen interest in the three-dimensional, Lynn sources driftwood from her local beach to create figurative wooden sculptures. She describes her work as three-dimensional drawings that “evince a keen observation of life and a lively sense of humour.” Byard Art exclusively exhibit her work in our gallery.